We live in an era where government is reflexively reviled as corrupt, inefficient and profligate with the public's money. What money government has goes either to paying existing obligations (payments on debt or the tattered remnants of the social safety net) or to further enriching those who could manage just fine without public money—large banks, large corporations, and large tax cuts for the wealthy. Even in these early stage of realization, the public is supportive and already making use of these appealing new facets of their community. 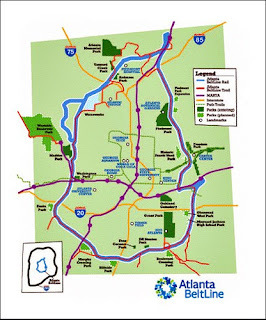 The Atlanta BeltLine is an example to government at all levels. It is an example to the country. Government indeed can work. Why do we so rarely give it the chance anymore?